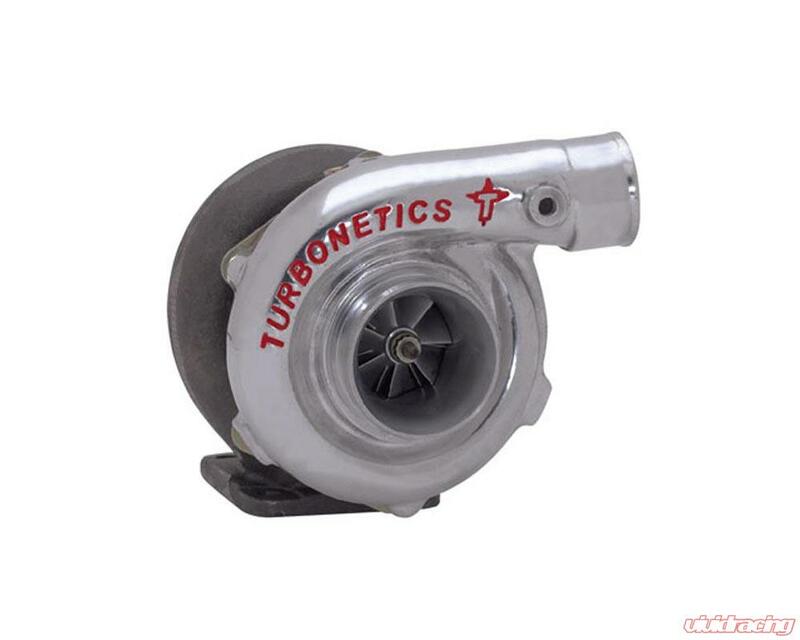 The T04B series turbochargers are one of the most versatile units available to the performance aftermarket. High compressor efficiency, strict quality standards, Turbonetics exclusive ?blue printed ? assembly process and competitive pricing makes the T04B the obvious choice for many applications. Available in a wide range of compressor and turbine combinations, the T04B series can support power levels from 300-500 HP for single turbo applications and up to 1000 HP for twin turbo applications. T04B ?s compact housing with 2.75 ? inlet (compared to T04E ?s 3.00 ? inlet) makes it extremely attractive for twin turbo applications and where packaging is critical.